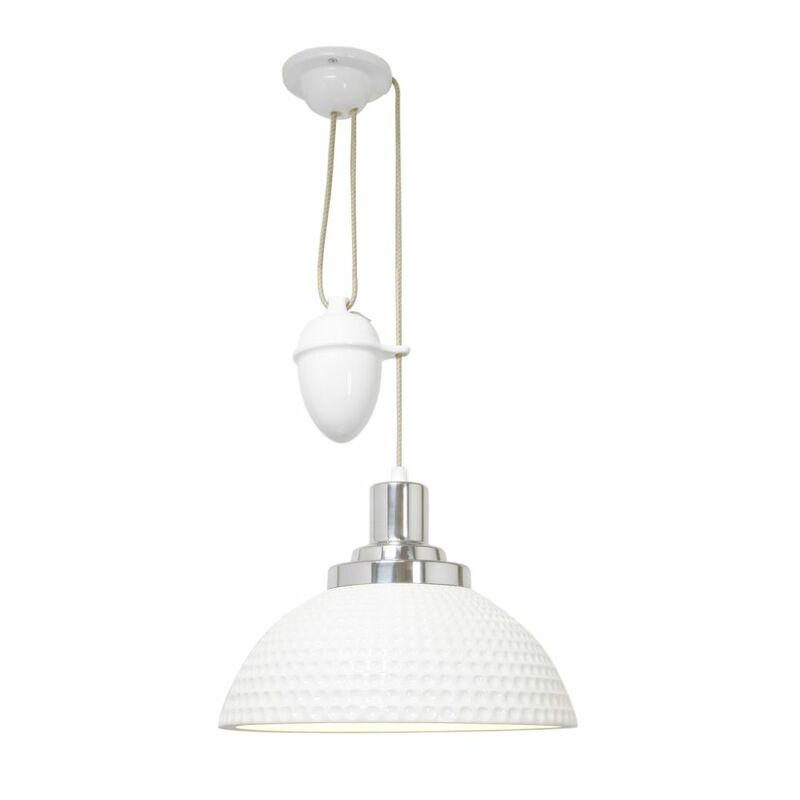 The Cosmo collection includes pendant, rise & fall and table lights with a shortened semi sphere shade. Available in bone china with either a plain, dimpled or stepped finish, the textural shades take on a new dimension when lit, creating A beautiful shadow play on the polished chrome. Also available in ribbed prismatic glass.